Just kidding, but I am happy that I caught your attention. 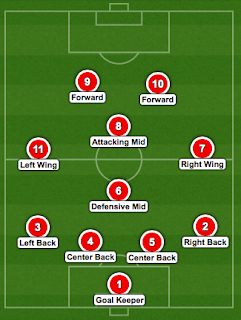 The 4-4-2 system of play. Why so popular in all the wrong places? I see it everywhere ... high school, house league, wee lads, senior men, etc. The truth is very few coaches know how to coach it and very few players can handle it. Don't believe me? Next time you watch a game, see if you can detect 3 lines straight across the pitch. 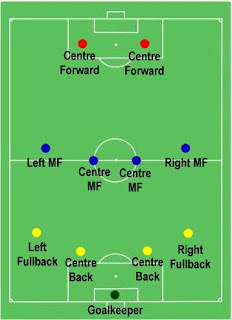 Four defenders, four midfielder and two strikers. Straight across, as if positioned by a surveying crew. Big wide gaps that a cargo ship can pass through, just waiting for opponents to drop balls in to and get behind your players. New "rules" for North American soccer. One of the first things people say about soccer when they move to North America is "why so many rules?" Boards and committees usually institute rules in reaction to somebody trying something sneaky, so most rules tell you what you "cannot" do. You can't do this and you can't do that. 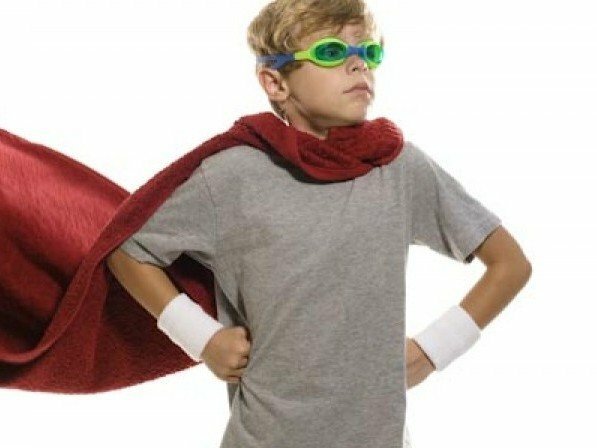 Our kids are bombarded with what they can't do. 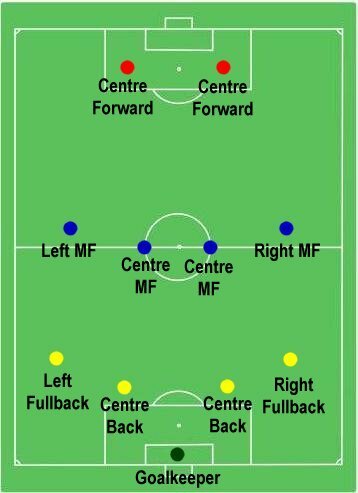 I am flexing my muscle and influence as an unknown, amateur, online author and changing the tune by implementing a new set of rules for North American soccer. We can leave the "Rules and regulations" to the people who administer soccer. I don't envy those people as their work always deals with negative issues. I guess with the hundreds of thousands of players registered, there should be some structure or semblance of order. My rules revolve around building our game's culture. I submit these for immediate adoption by the CSA and USSF. These are all things you can or must do. No "cannot" or "shall not". These focus mostly on U13 and below, but are universally applicable. Hey Coach, if you've never made a mistake, YOU'RE LYING! You're born, you die, and in between you make a lot of mistakes. I'm confident or arrogant enough to say that I think I'm a pretty good coach. I can also start another journal with more content if I reflected on all the mistakes I've made. 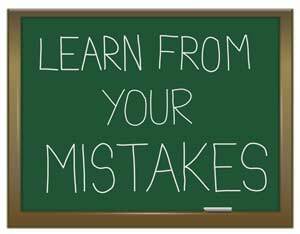 Those mistakes have shaped me more than any successes. The more you plan, the more you coach and the more "what-ifs" you rehearse in advance, your chance of erring decreases. But it still happens. No cell phones at church. Or soccer. 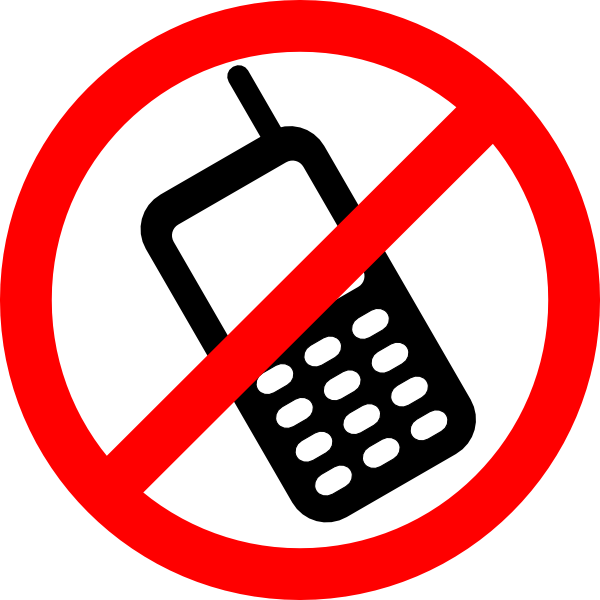 There is a little sign before you enter our church "Please turn your cell phone off". Then you sit down and during the pre-mass announcements, they mention it again "We remind you to please turn your cell phones off". As she read it, I was thinking "who has their cell phone in church? ", but it's easy to forget and your child probably had their's in their pocket. Then my thoughts went to coaches who have their cell phones in their hands during training. And actively texting. Or a coffee. Or, way offside, a cigarette. What message are you sending your players? Are you too busy to be there? Can you actively and freely demonstrate, as good coaches do, holding a coffee or cell phone? Will your phone fall out of your pocket? Will you be distracted everytime it vibrates?